Age Group: 4 on up!! Check out our Velcrow Dart Board. 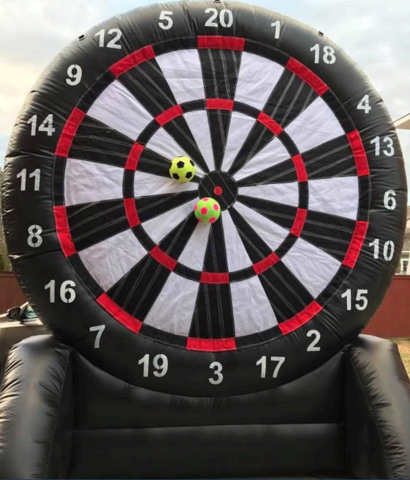 This awesome inflatable interactes with Fuzzy Soccer Balls and Tennis Balls. An EPIC addition to your next party!!! Excellent option for FUNdraising and Giveaways at your organizations next gathering too! !